Patricia was diagnosed as probably having the Striato Nigral Degeneration (SND) form of Multiple System Atrophy. Autopsy after her death confirmed this diagnosis. Patricia was born in Bright, Victoria, Australia in 1938, the eldest of five children. She attended Bright Higher Elementary School and Mac.Robertson Girls’ High School in Melbourne. She then went to Melbourne University where she obtained a BA (Honours) degree in History. 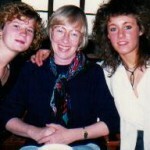 She taught at Benalla High and then at Mac.Robertson Girls’ High School. She taught for three years and then joined the Defence Department, Defence Signals Division where she worked for many years as a Research Officer, translator and report writer. She took a break for 12 years while she had three boys and brought them up. 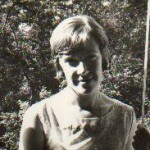 She had to leave the Defence Signals Division when it relocated to Canberra and took a job as a lexicographer with a company that was designing and building a computerised Indonesian to English translator. 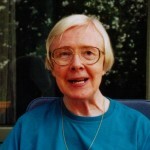 Her job was to help build the computerised dictionary.Patricia became aware of symptoms of what she termed the “Shaking Palsy” during 1993 with changes to her handwriting. Click here (http://www NULL.surfcoastwombat NULL.com/patricia/first-signs/)to go to the next page.